Enjoy watching people? The Beach Club is the place to be! 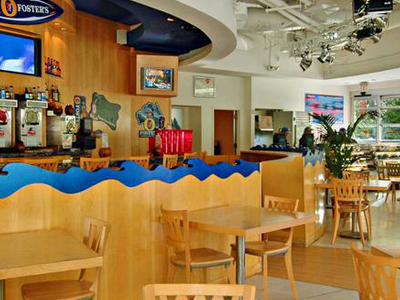 This seasonal bar & grill caters to guests who prefer to grab a quick bite, relax in the sun, and enjoy the sights and sounds associated with the beautiful blue waters of a relaxing pool. Enjoy people-watching? Then The Beach Club is the place to be! This seasonal bar & grill caters to guests who prefer to grab a quick bite, relax in the sun, and enjoy the sights and sounds associated with the beautiful blue waters of a relaxing pool. Dine on American cuisine offered at a reasonable price and take in the sun and the fun. Beach Club offers burgers, sandwiches and other items hot off the grill, in addition to a full bar of refreshing cocktails. The dress code is definitely relaxed here – swimsuits are the typical attire. And when you tire of watching the sunbathers and swimmers, you can catch the game on one of several flat-screen TVs.